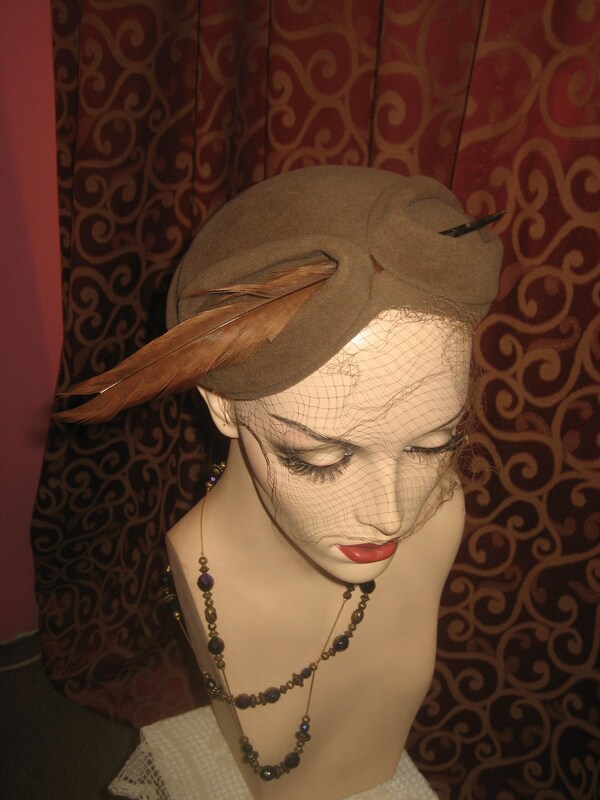 1950's, size 22, small head fitting cocoa brown felt hat, with attached veil. 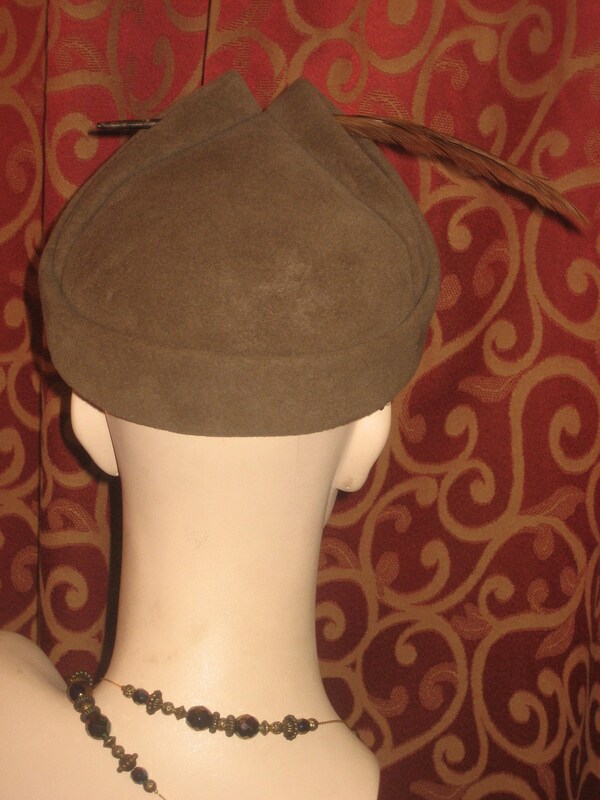 1950's, size 22, small head fitting cocoa brown felt hat, with attached veil. 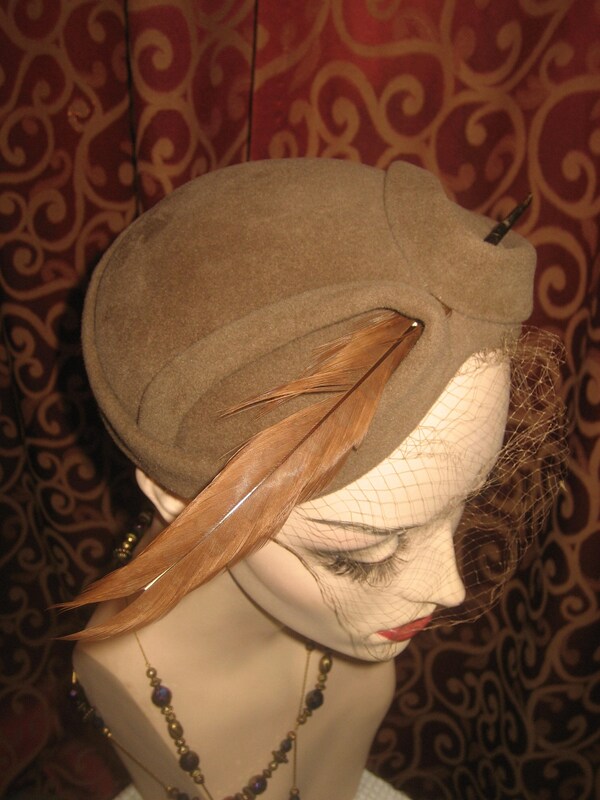 Front top of hat is decorated with 2 small material swirls with long brown feather threaded through the swirls. Labels reads " Bettine" Stern Brothers New York.